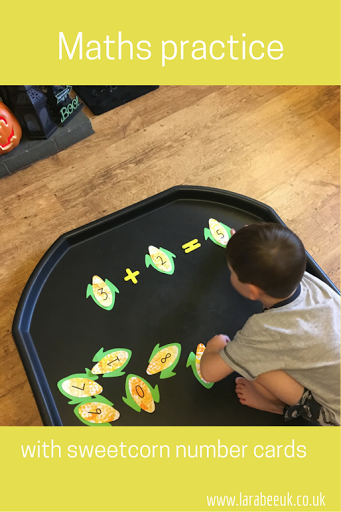 It's all about the maths for T at the moment, he's addicted to Mathletics and loves doing the activities in his maths practice books! 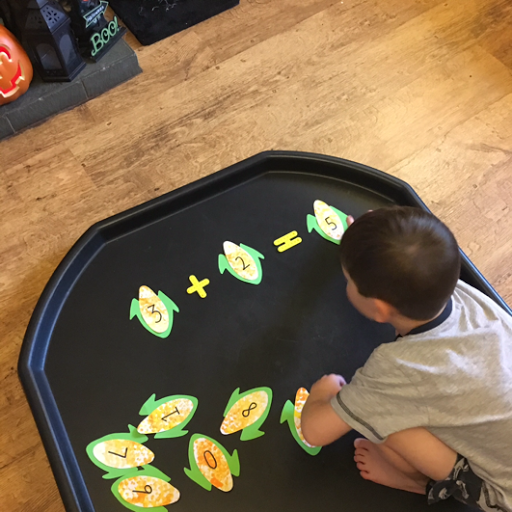 He asks every day to 'do maths' so I've been trying to come up with a few ideas to vary it a bit and keep him interested! T likes most vegetables but he really won't eat sweetcorn! So I thought we'd do a few sweetcorn activities and see if I can't convince him it's his favourite vegetable again 😂 well, let me tell you, this hasn't worked sadly, he's more adamant than ever. So, one of the activities we did was to make some cute sweetcorn number cards using a bubble wrap printing technique I learned from my friend Nicola at Crafty kids at home which she used for her fab bubble wrap trees I got the idea to make the bubble wrap sweetcorn from Activity Village although, I've adapted it slightly to suit our needs. We attached the bubble wrap to our loo rolls using an elastic band as shown in the a Crafty kids at home post, T liked that he could do this on his own! He then used yellow and (a little too much!) 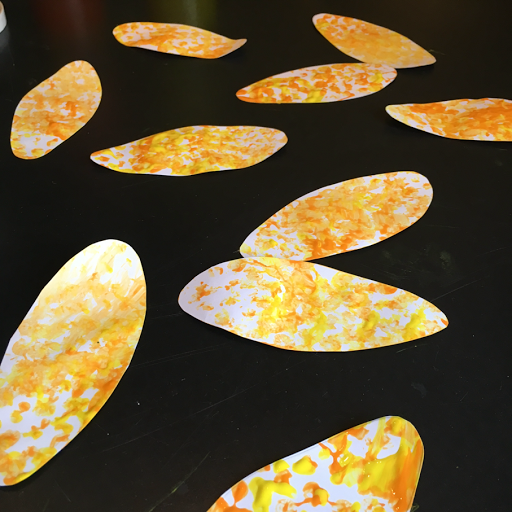 orange paint to daub onto some sweetcorn shapes that I had pre-cut. They looked really effective once all done! 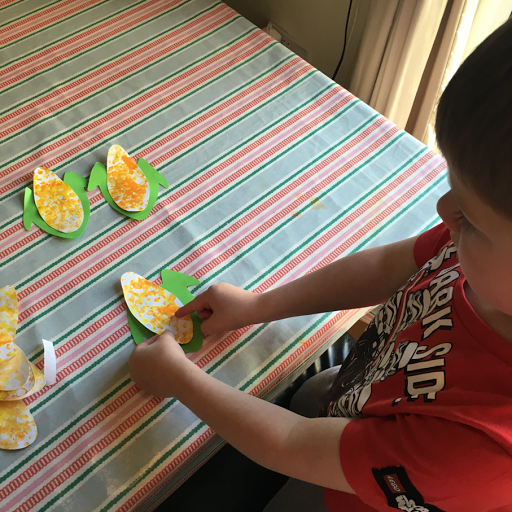 I then cut out some husk shapes from the green paper as T didn't want to try, he then stuck the sweetcorn ears to them to make the cards. I wrote numbers on them using a sharpie. 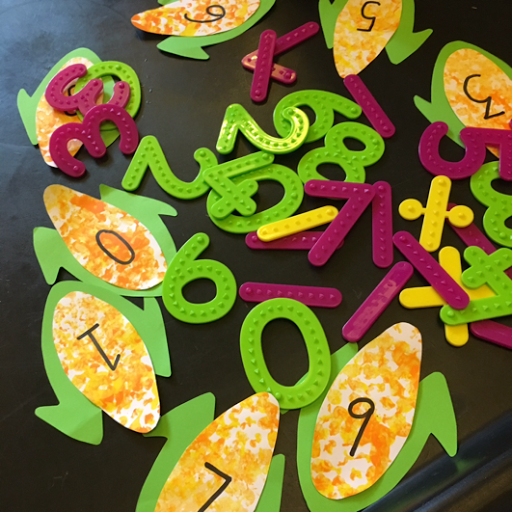 We had lots of fun using these cards and our tactile numbers. 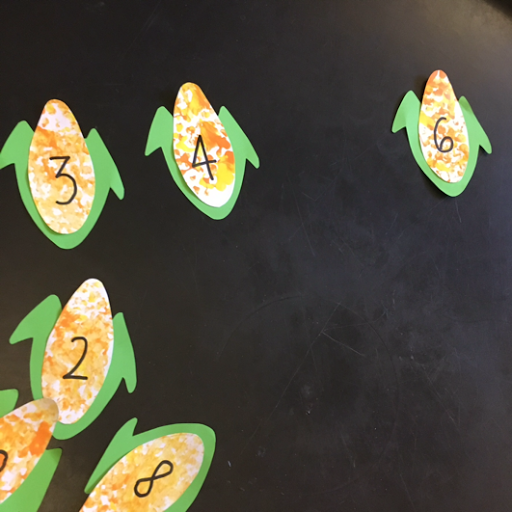 I set up simple equations and T used the cards to complete. I also set up some 'what number is missing?' puzzles, T particularly likes these and since we started this activity he's now doing this one backwards which he prefers! 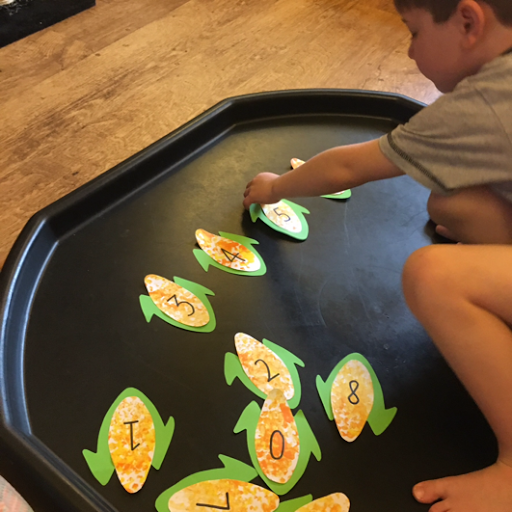 We soon added our 'tactile' numbers so we had greater possibilities and were able to extend our activities. What maths activities and practices would you add?? I'll be following this up with a post on various activities you could do with a set of numbers. 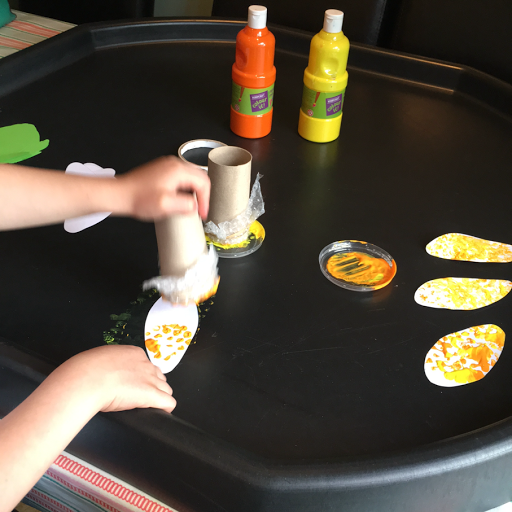 You can see all our Autumn kids activities here.